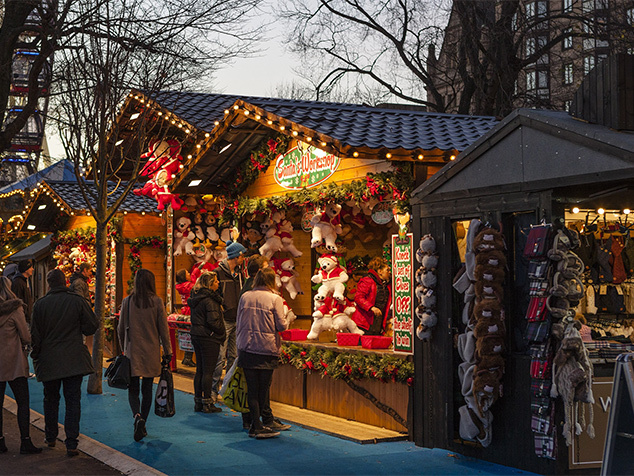 During the Christmas season, London offers so many different activities to get into the Christmas spirits. 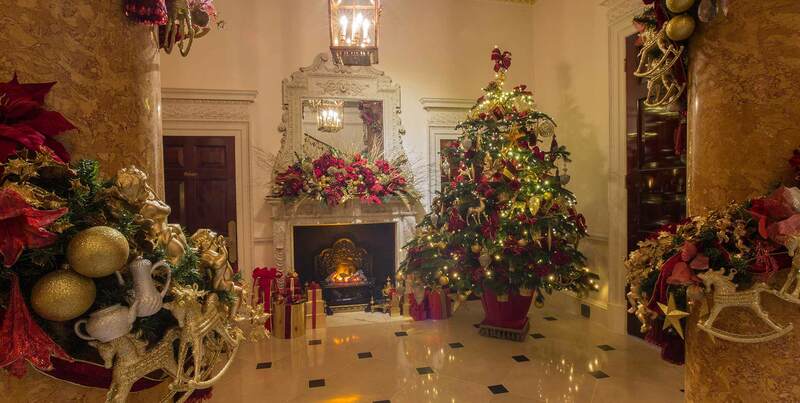 Ideally located near Mayfair, next to Green Park Tube station, The Ritz is the perfect 5 star luxury hotel in London to stay during this special time of the year to take advantage of all activities. The famous Winter Wonderland will be back again this year in Hyde Park. Visit this iconic amusement park with your family and friends and enjoy the fabulous festive atmosphere. This year, discover the Magical Ice Kingdom, enjoy a cocktail in the Love Ice Bar, have fun on the UK’s largest outdoor rink or go for a ride in one of the crazy attractions. You can also treat yourself with a great variety of seasonal eating and drinking options. We recommend to plan your visit in advance to avoid crowds during peak time. For a perfect winter day in London, why not enjoy ice skating with great pop up outdoor ice rinks? You can find them in some of the most popular locations in the city: Somerset House, Tower of London and Natural History Museum, which is usually the first one to open for the season. Who doesn’t love the festive glow of the Christmas street lights? Wander around London and be mesmerized by the amazing lights on Regent Street (from 16th November), Oxford Street (from 7th November), Carnaby Street (from 9th November) and Covent Garden (from 14th November). Add extra magic for the little ones and organise a visit to meet Father Christmas! 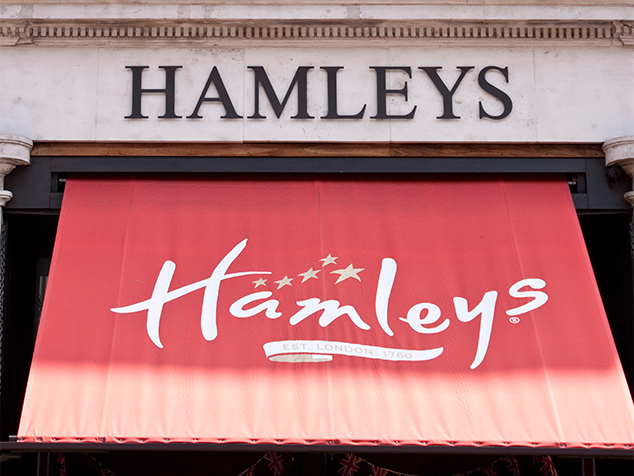 You can find him and his elves in the famous toystore Hamleys or at his grotto in ZLS London Zoo in Regent’s Park, where children will receive an early Christmas gift. Get in the holiday spirit with Christmas crafts! Bring your children to The Wallace Collection to make a fun Christmas cracker inspired by the collection with the museum’s Education Department. Perfect to entertain the little ones while patiently waiting for their presents. 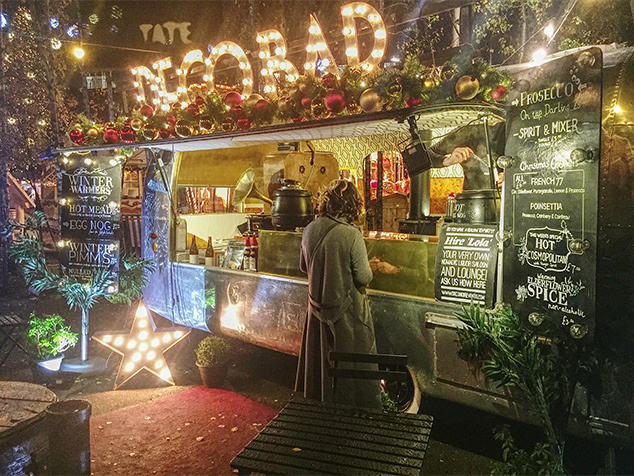 London offers some of the best Christmas markets in the country and you can shop in stunning locations such as the Winter Festival at Southbank Center, the beautiful Greenwich Market or The Tate Modern market. Soak up the sights, smells and sounds as you wander around the markets; you can be sure to smell the delicious aroma of warming mulled wine and freshly baked mince pies, enjoyed with a generous sprinkling of cheering carols that will get even the biggest of humbugs into the Christmas spirit. Go to one of London’s carol services that will leave you with a warm glow. You can go to the grand Westminster Abbey or St Paul’s Cathedral. On weekdays afternoons and weekends, you can also listen to carols beneath the tallest Christmas tree of London, an annual gift from Norway since 1947) in Trafalgar Square.